The City of Edmonton welcomes children and adults of all abilities in our facilities, and is committed to the inclusion of individuals with disabilities in our programs. Please indicate to staff what, if any, supports or accommodations are required to ensure successful participation in our programming. Our programs are designed for persons with developmental disabilities. Participants who require close supervision, individual attention or who have medical concerns must come with a personal care attendant. Beginning in January 2019, Social Unique Recreation Fun (SURF) programs is undergoing a name change to Persons With Disabilities (PWD) programs. 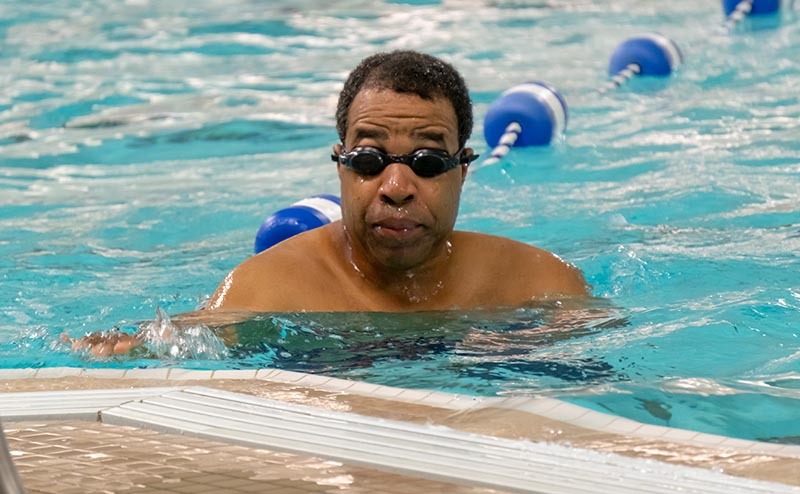 Now offering specialized Programs for Persons With Disabilities (PWD) at City of Edmonton Recreation Facilities city-wide (previously only at ACT and Terwillegar Community Recreation Centre). The Adult Leisure Dances (Rockin in Rundle, Senior Leisure Dance, and SURF Zumba) are now Drop-In. No registration required, and will be free with your (LAP) Annual Pass. You will still be able to register for your programs via 311 or by visiting your local City of Edmonton Rec Centre. Information & Registration sessions will be offered each season to provide assistance with the registration process. DATS and Leisure Access Program (LAP) representatives will be available to assist with the LAP registration process and information on subscription bookings. Cooking, Fitness and Crafting courses for persons with disabilities. Inclusive excursions to local attractions. Drop-In programs for persons with disabilities. Get ready to explore City of Edmonton attractions and affiliated facilities with Edmonton Excursions! These excursions are held during a variety of times including weekdays, evenings and weekends to allow a wider range of opportunities within our beautiful city. All fees are included in the registration price. All City of Edmonton programs are inclusive, so all are welcome! General Information about the Disabled Adult Transit Service (DATS) and the services it offers. Access for eligible low-income Edmontonians to participating City recreation facilities.